Pulses have numerous amount of benefits attached to it. To make your diet a healthy one, include a lot of pulses into it. They are high in fibre and thus help in easy digestion and keep the bowel function normal. It helps in lowering blood cholesterol and maintains the required level of insulin and glucose in the body. It helps ward off cardiovascular diseases and diabetes. Most of the pulses contain antioxidants and phytoestrogens that help prevent hormone-related cancers. Pulses are completely gluten-free thus happy treats for your tummy. Apart from these, pulses also comprise of other complex carbohydrates and proteins. They are typically found to contain about twice the amount of protein found in whole grain cereals like wheat, oats, barley, and rice. High amounts of the essential amino acid lysine in pulses and amino acids methionine & cysteine in cereals gives us an option to combine them in such a way that it results in better quality of protein that contains all essential amino acids in appropriate amounts. So a mix of pulses and cereals is a great breakfast option. These pulses when organic are more nutritious as no harmful chemicals or pesticides are used while cultivating them. This makes them fit to consume and healthier as compared to conventionally grown pulses. They are purest in form if they are certified organic. 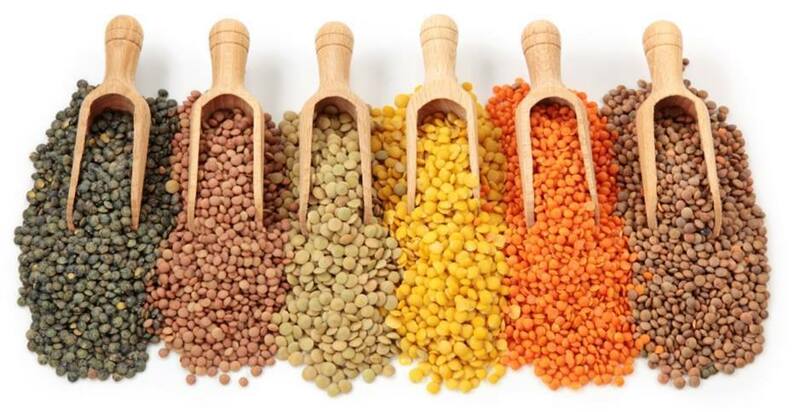 Organic Tattva has a wide range of certified Organic Pulses to offer, some of them being Organic Black Chana, Organic Groundnuts, Organic Moong Dal, Organic Chana Dal, Organic Tur Dal, Organic Urad Dal, Organic Rajma. Introduce some tasty, nutritious and healthy organic food in your diet. Live happy!